Taurus Car Club of America : Ford Taurus Forum > Generation 5-6 Taurus and Sable Platform (2008-Current) > 5th and 6th Gen Maintenance and Repair > 2008 Speedometer issues. I have a 2008 Ford Taurus. 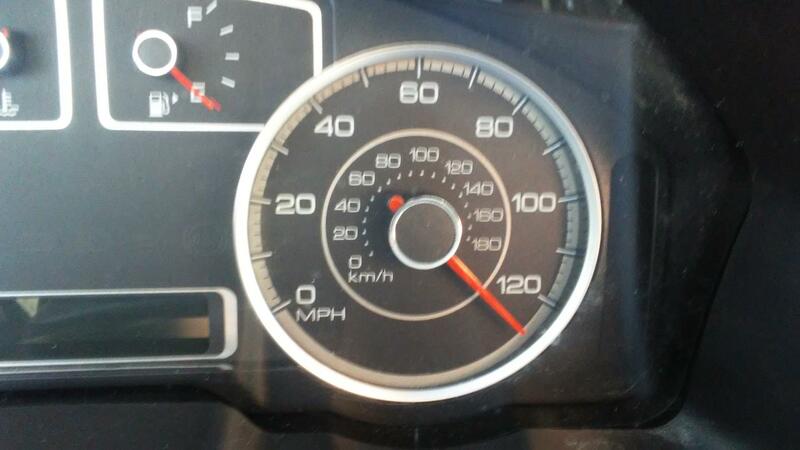 And for the past few months the speedometer has been acting weird. I realized that when the car was off the needle was below zero and kept going further down. It was hanging down to the 6 O'clock position. Now it is almost to the 120MPH position. When I drive the needle still moves the right amount of distance on the dial I think, but since the starting position is off the readings are way out of whack. The tachometer, temperature and fuel gauge all read correctly. Also another thing is that the back light behind the tachometer only illuminates the left side of the dial. But everything else is lite up. I use a phone app the monitor my speed for now. Wondering what the issue is and how expensive it will be to fix.